4Pearl 2018 was definitely a fest to remember. With its theme 'Memories of the Mile', it struck a chord everybody who had been bitten by the travel bug at some point in their lives. We make a living by what we get. We make a life by what we give" - Winston Churchill. A little spark may burst a flame. IGNITE is an endeavor to ignite the spark of learning in young minds while giving them a chance to live their childhood to the fullest. A rainbow of smiles under the care of loving hands aptly describes Ignite. Enlightening the young minds and immersing in their joy and prosperity are the takeaways from Ignite every year. This year it was organised for 400 orphaned and underprivileged kids, right from class 1 to class 10 and give them a new tint of education. The fest was organised for 3 days between 2nd-4th February 2018, witnessing dance, math, art and craft, sports, Health and Hygiene, Social awareness workshops with Science fair as the headliner and amazing star gazing events in collaboration with various clubs of the college. In addition to all motivational and innovative sessions, laser shows, 3D screening and paper dressing etc. Lifted the spirits as they served as refreshments for the kids and volunteers. We provide a new platform for these children to improve. Every year new set of nearly 400 orphans are invited for the event for to lay a strong impact with the workshops and love. Helping the kids to live their childhood to the fullest is our motto we have lived up to and will continue to touch more lives. BITS Pilani, Hyderabad campus is organizing the ninth edition of its annual cultural fest, Pearl ’17 between 17 and 19 March 2017. The theme for this year’s 3 day extravaganza is ‘A Carnivalesque episode’. There are many events in store for attendees being organized by the various clubs on campus, with lakhs of rupees in prize money up for grabs. The fest kicked off with a well-organized Inauguration ceremony on of 16th March. 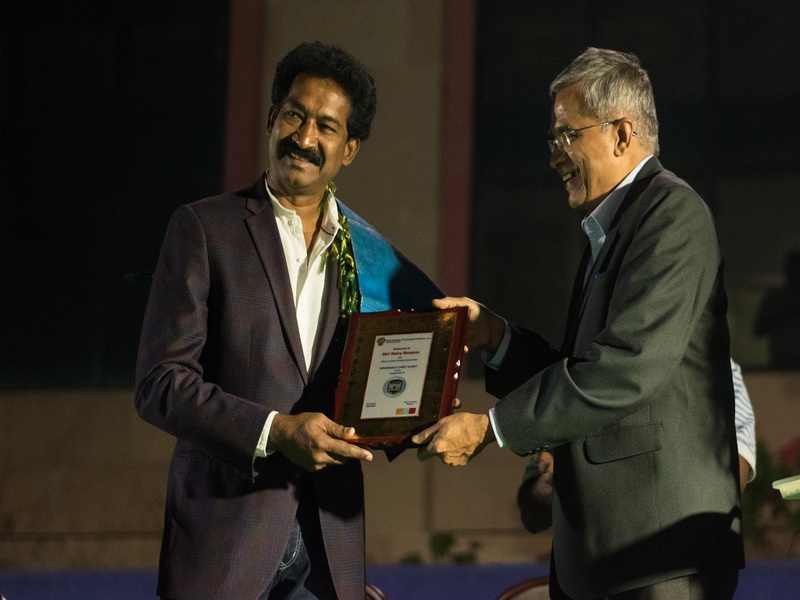 Mr Madhusudhana Chary – Hon’ble Speaker of the Telangana Legislative Assembly was the chief Guest. Mr. Manish Gupta – Film Maker and Activist and Mr. Sudhir Reddy, MLA from Medchal district were the Guest of Honor. Prof. G Sundar, Director of Hyderabad campus presided over the inaugural function. After the formal proceedings which included speeches from all the dignitaries and the President and General Secretary of the Students Union, Pearl’17 was officially declared open. 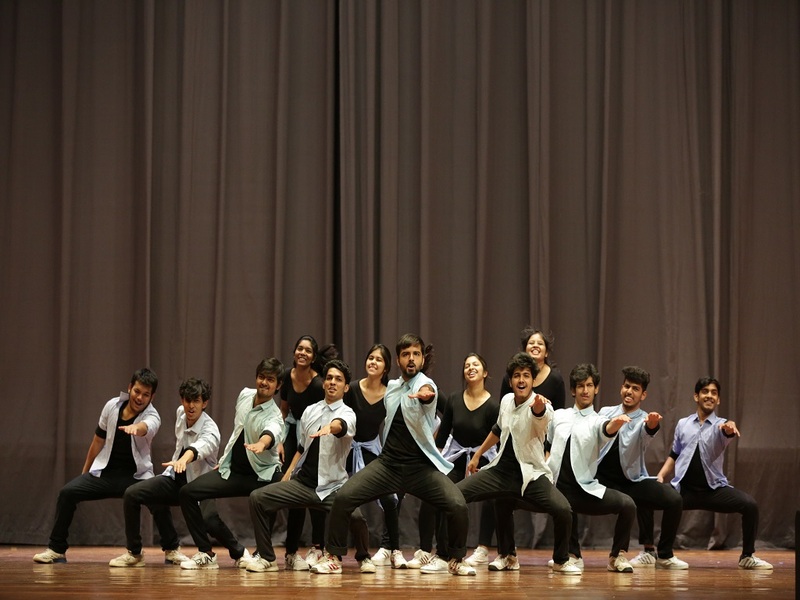 After the inaugural function, the various clubs showcased their talent. Some of the headliner events are QuBITS – the Quiz fest, Glitterati – the Fashion Parade, Catharsis- the film festival, Fraglore – a LAN gaming competition, Crimson Curtain- the dramatics fest, Terpsichore- the group dance competition and many more. There is a concert by renowned playback singer Sonu Nigam on 19th March Apart from this, there are also shows by Zakir Khan, a popular stand-up comedian, Lagori, an Indian folk/fusion rock band known for their rustic style, and Marnik, an electronic dance music DJ duo from Italy. 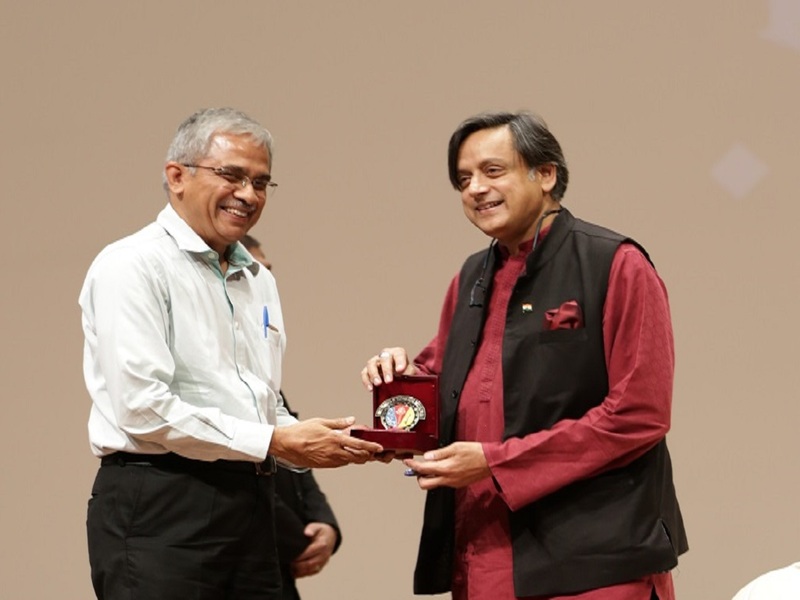 There are also talks by former Army chief Bikram Singh and senior politician and MP Shashi Tharoor. ARENA, the annual sports festival of BITS-Pilani Hyderabad campus was formally inaugurated on 25 January 2017 by Ms. Harika Dronavalli, Chess Grandmaster and Arjuna Awardee was the chief guest and graced the inauguration and motivated every person with her inspiring story. Prof. G Sundar, Director presided over the function. Over 3000 students from all across the nation showed their mettle and proved to be at their absolute best with a true spirit of sportsmanship. The most deserving won and the ones lost still walked away with their head held high. Arena was a giant success leaving every player, sports enthusiast and even a spectator with lots of memories to cherish. 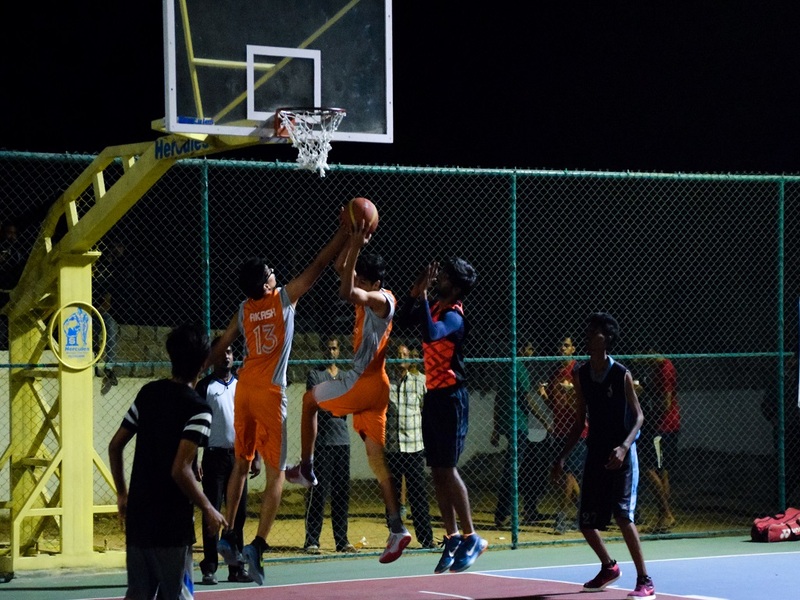 The fest had offered a comprehensive entertainment and sportive atmosphere in the campus during ARENA’17. 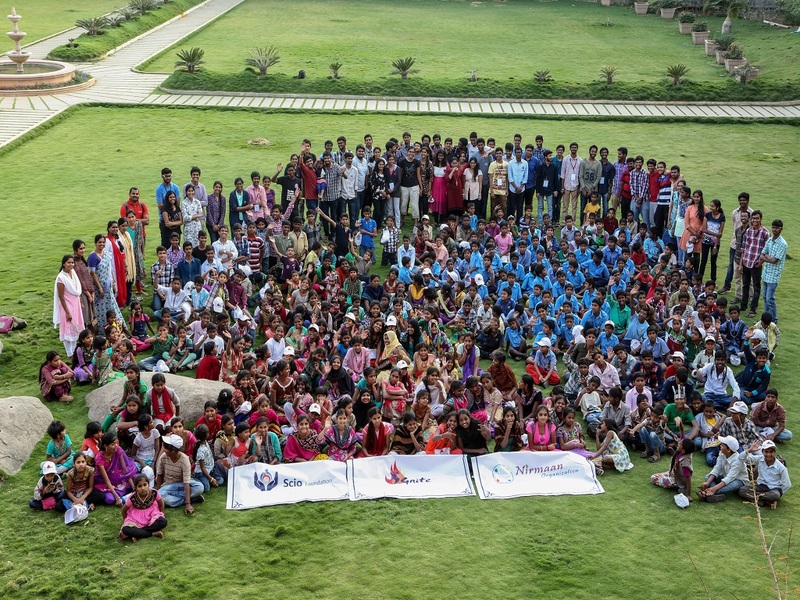 Nirmaan BITS Hyderabad Chapter successfully organized its 6th edition of Ignite, annual social fest. In its five editions Ignite has touched close to 2000 kids and this sixth edition added 300 more kids to the Ignition of Spirits. 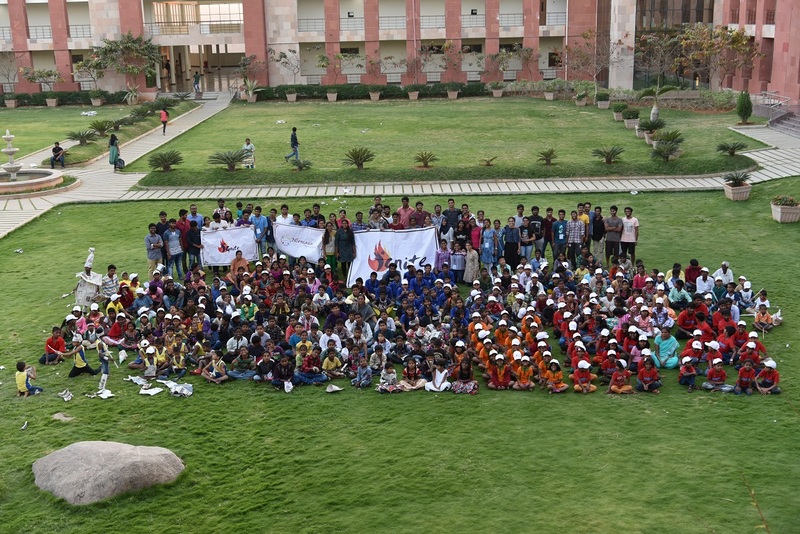 300 kids from 8 orphanages in Hyderabad took part in Ignite that took place in between 10-12th February, 2017. The inauguration ceremony held on 10th February has seen the encouraging speeches of Prof. G Sundar, Director of BITS Hyderabad Campus; Mr. M Sudheer Babu, CSR Head of Tech Mahindra; Mr. Ravi Teja, Movie Editor of Pellichoopulu and Prof. Vijaya Bhaskar Marisetty, Department of Economics at BITS Hyderabad. The event spanned two full days consisted of science fair as the headliner event and sports, story-telling, craft making, drawing, math, Vedic math, English, Health and Hygiene workshops followed by Career Guidance and with fun events such as laser show, 3D screening and Paper Dressing. Later takeaway gifts and prizes to winners of sports are distributed and the kids were sent back safely to their homes. We had a strong volunteer base of close to 50 first and second years with 24 Organizers (3rd years) that lead to the smooth flow of events during the fest. The event was successful with the collaboration with Scio Foundation and the everlasting support and bonding with faculty, staff and students at BITS Pilani Hyderabad Campus. The annual techno management festival, ATMOS of BITS Pilani, Hyderabad Campus was held from the October 27- 29, 2017. The fest has been growing in popularity over the years and this time around a large number of students from different parts of the country flocked to the campus to attend the workshops and competitions organized by the student technical associations. From trading workshops to Python conference to petroleum refining, there was something for everyone in this fest. 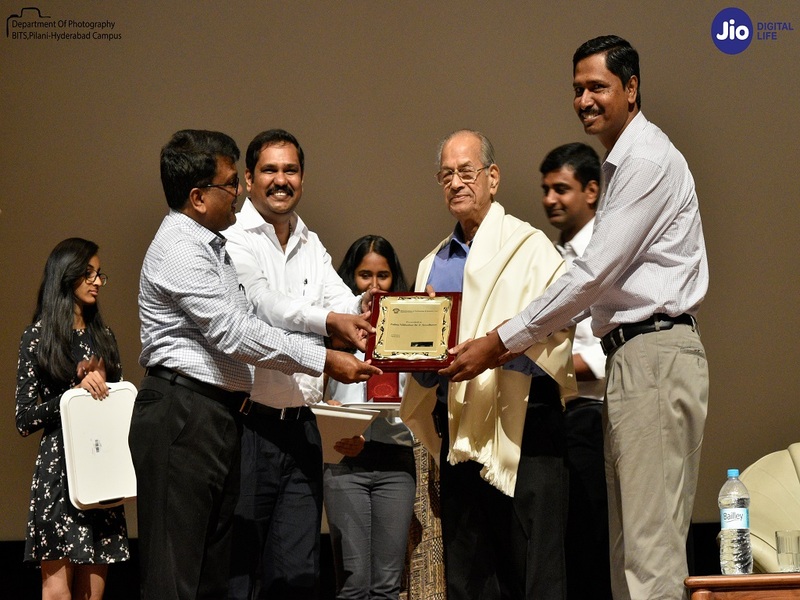 E. Sreedharan, the metro man of India addressed the audience on the first day of ATMOS. Dilip Chabria was the keynote speaker of the fest. A tech panel discussion was held to discuss how the rise in artificial intelligence will affect humanity and jobs. The rock band, ‘The Local Train’ performed at the festival and energized the audience to their cores. Finally, the fest ended on a high note with the delightful show of famed standup comedian Rahul Subramaniam.